It's still January so here are some things I want to mention for the year ahead. 1. Most communications to everyone will be in this form from now on. 2. Everyone should have paid for next month already. 3. If you see past News From The Dragon you haven't read take a look when you get a chance. 4. If you have never read the nice comments about me, and the training, please take a look when you get a chance. 5. If you have never added a nice comment about me, the training, the school, please do so when you get a chance. 6. If you have never added ablog about someone or something, please take a look when you get a chance. 7. I will be making a lot of changes to the website this year to include Northern Shaolin Chin Na and Tai Chi Sword. 8. I'm looking for volunteers who want free training in Chin Na and Combat Sword Fighting. 9. I'm looking for 1 or more persons to register at the Grapevine REC center for the Tuesday evening class. You can register for the evening but you can't make it so you makeup on Saturday. The tuesday evening class was started for 2 people and I added the 3rd person. When the attendance during the year is light, I need someone to help. 10. 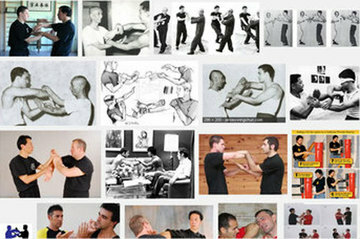 Next month we will begin Chi Sao and Drills, Wing Chun basics, and Chin Na. 11. Saturday the 27th of this month, next Saturday, 3 disciples will be tested, 1 for the Red Dragon Certification and 2 for the Green Dragon Certification. 12. As soon as it warms up on Saturdays, we will have a 3 hour FREE seminar, in February. Back on June 19 I mentioned to some of you that my Si Fu told me that I was ready to start training for my Instructor Certification Eskrima and I should have my certification by the end of the year. 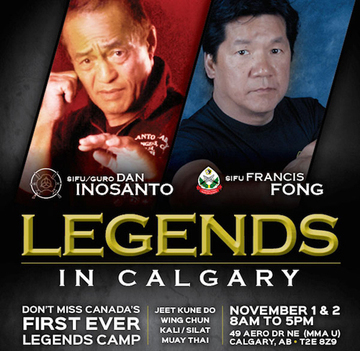 This is something I have been working on for several years with my Si Fu Jon Rister and Guru Dan Inosanto, Bruce Lee's student and friend. GUESS WHAT!!! I HAVE IT !!! He has been training me for three years in the European and Asian combat sword fighting theories and techniques, and said now I can start teaching. I am a certified Eskrima Instructor !!! Eskrima or Escrima, is a word and meaning in reference to a one handed sword fighting style, theories and techniques, with one handed swords, and European combat sword fighting and fencing, in the English, French, Italian, Spanish and other languages. It is used to in reference to one handed sword fighting or fencing. In Spanish it is esgrima, in French it is escrime, in English it is skirmish, in Italian it is scherma. 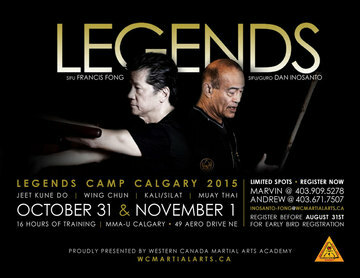 Private lessons in Eskrima and Chin Na is $360 for 12 hours as is all private lessons. Do you see Bruce Lee and Ip Man doing Chi Sao below? Below : Our 2 Grandmasters - NOT DEAD YET!! !